Servo Motor Repair is our specialty. Our organization holds years of experience in providing Servo Motor Repair services at reasonable rates. 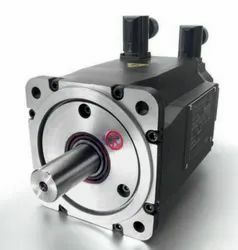 We have advanced facilities to repair all types and brands of servo motors and stepper motors. In order to ensure proper functioning, we test the product on various run methods and give the feedback to the clients. Our engineers have in-depth knowledge and requisite facilities like servo repair software, magnet strength test, servo load test, waveform analysis and balancing machine in order to render accurate services. Services include rewinding, mechanical rebuilding, electronic repair, feedback alignment, and sales of new and refurbished servo motors. State of the art equipment for testing, balancing, winding, and cleaning a servo motor. We are proud to have earned the distinction of being a Factory Authorised Repair Centre and warranty management. We provide these services through a network of Service Centres, Field Service Offices, Representatives in Major Regions across India. We serve over 3000 Customers spreading all over India & overseas. Expert Ac servo motor service and maintenance. We are one of the leading National service providers and have 15 years experience in the field of Ac servo motors service, dc brushless servo motor,Servo Drives, motion controller, sensors, vision system,AC Servo Motor Driven Pumps, PID,PCB, PLCs ,DCS module,& other Industrial Electronic Repair & Maintenance. To help minimize your down-time we can exchange or replace your damaged motor. Star Automations has an extensive inventory of rebuilt and new servo motors, servo amplifiers and spindle motors for exchange and/or sale. Allen bradley servo motor repair ,test and troubleshooting. ALLEN BRADLEY ,RELIANCE, ELECTROCRAFT MOTORS repair . We have dedicated Allen Bradly Testbench and load test. AB Series F, H, N, S, and Y use Renco incremental encoders and AB MPS, MPL, MPF, 1326AB and 8720 motors use resolvers, incremental encoder, and Stegmann Hiperface encoders. ElectroCraft, and Giddings & Lewis legacy motors replacement F-Series ,H-Series ,N-Series ,W-Series ,1326AB-Series ,1326AS-Series motors. We Provide third-party support repair of Radars and Antennas' electric motors, servo motor, PMDC motors in Azimuth and Elevation axes. drive electronics and position controllers. 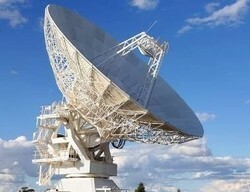 communication Antena servo system Repair and Annual Maintenance contact Service . We represent many manufacturers of Servo motors. We are proud to have earned the distinction of beinga IndianRepresentative/ Factory Authorized Repair Centre and warranty management. 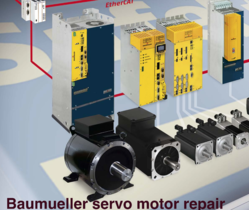 Expert Baumueller Servo Motor Repair and baumueller servo drive repair. 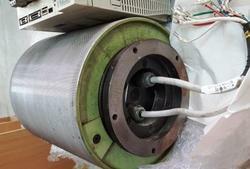 Baumueller servo motor repair and refurbishment. We work on AC servo, DC brushless, and DC brushed servo motors along with spindle motors and most types of feedback devices. We test windings at full nameplate current to be sure they won't breakdown under load. We use an universal encoder tester and oscilloscope to check the wave pattern of motor windings while under load test. Star Automations continues to be the best solution for all your Indramat Bosch Rexroth servo motor, servo amplifier, Vector Drives ,Frequency Converters ,Intelligent Drive System ,servo motor, spindle servo motor, power supply, controls and PLC repair and spare equipment needs. Our unique state-of-the-art technology repair in house and experienced service engineer and technician to provides our customers with the Best Repair Service in the industry. Our Experience and expertise team of specialists have the industry and component knowledge necessary to provide an efficient high quality repair on your servo motor. Our process involves thoroughly inspecting your component before and after repair using our universal servo motor tester. Once completed, we calibrate all feedback devices, checking for proper timing, shape, off-set angle & amplitude. Finaly, the component is dynamically tested to ensure it is optimized and ready to be put back to work. We Have dedicated Electrocraft Servo Motor Repair facility. We have expertise to repair all types and makes of servo motors including DC and AC servo motors, spindle and stepper motors. ElectroCraft electric motors, gear motors,ElectroCraftservo motors,ElectroCraftservo drives,ElectroCraftposition controls for electric motors,ElectroCraftstepper drives,ElectroCraftstepper controls, linear actuators, machine transaxle drives,ElectroCraftintegrated motor drives, gearboxes, motor generators, motor speed controls, electric motor speed sensors, electric controls for electric motors, amplifiers forElectroCraftelectric motors. Offering Expert Fanuc servo motor repair, Fanuc spindle motor and Fanuc Servo Amplifier repair . 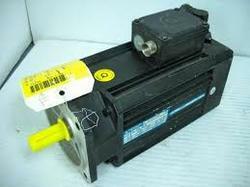 We sale Refurbished Fanuc servo motors. We have dedicated Fanuc Servo Motor repair facility. 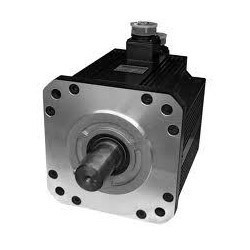 Fanuc servo motors are 6 and 8 pole with Fanuc ABS, incremental, and serial encoders. We have the expertise to repair all types of Fanuc servo motors including DC and AC servo motors, spindle and stepper motors. Legacy Fanuc CNC control/ monitors retrofit or upgrade. FANUC Control System Machine Services, Axis Drives, Servo Drives, Spindle Drives, Drive Controllers ,power supply and pulse coder. Fanuc encoder Types Alpha, Beta, DC encoder, Fanuc ABS Pulsecoder, Redcap encoder, Fanuc a64 Encoder, fanuc encoder ,Fanuc spindle encoder, Fanuc absolute encoder, Fanuc incremental encoder and Fanuc serial encoders. Fanuc Alpha / Beta i Series Servo Motor Pulse Coder Cable. Fanuc CNC 16i / 160i / 18i / 180i / 21i / 210i ,Batteries Fanuc CNC FS0i–MA / MB / MC MD / MF Batteries , Fanuc CNC FS0i–MA / MB / MC MD / MF Batteries ,Fanuc Absolute Pulse Coder Battery and Fanuc Robot Controller Batteries . 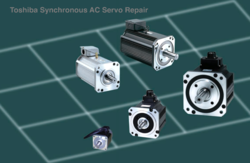 We are an authorized servo motor repair facility for many servo motor brands. If your servo drives, servo motor and Controller (any make) is obsolete. 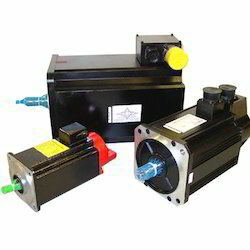 We are Upgrades New series servo motors and Exchange your old servo drive and motor. Authorized service center for major brands. We Have dedicated Golden Age servo motor Repair facility. We have the expertise to repair all types and makes of servo motors including DC and AC servo motors, spindle and stepper motors. We use a universal encoder tester and Resolver alignment and oscilloscope to check the wave pattern of motor windings while under load test. 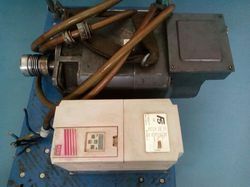 We offer New / Exchange golden age servo motor for the injection molding machine. 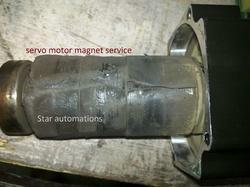 We provide electro-mechanical repair and electronic repair for permanent magnet (PM) servo motors. 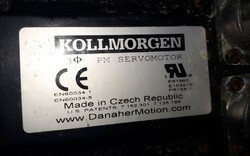 On-site service for kollmorgen servo drive repair andkollmorgen servo motor repair. Preventive maintenance , Annual maintenance and Refurbished sales. 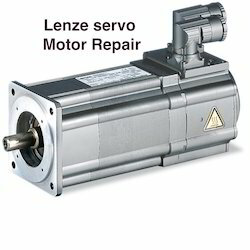 Lenze servo motor repair and refurbishment. 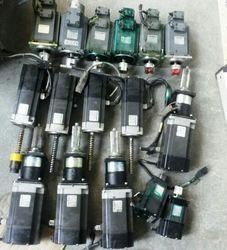 Lenze Discontinued products Repair, replacement and spare parts ,Servo Inverter 9200 , DC speed controllers, 4900 , 530 , Winder 712 Function boards 2002, 2003 and 2008 ,8200 and 9200,EMG electro servo cylinders (ESZ) . We use a universal encoder tester and oscilloscope to check the wave pattern of motor windings while under load test. 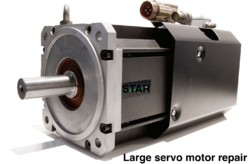 Star Automations will meet all of your needs for the repair of your Servo Motor Repair, and servo Drive Repair.We have complete testing Stands to test all servo motor and servo drives after rebuild. Star Automations offers the fastest turn around times available for servo motorRepair.We Have dedicated Servo Motor Repair facility. We have expertise to repair all types and makes of servo motors including DC and AC servo motors, spindle and stepper motors. We work on AC servo motor, DC brushless servo motor,Actuator / Servo Motors and DC brushed servo motors along with spindle motors and most types of feedback devices. We are Authorized service center and Indian representative of many international brands . 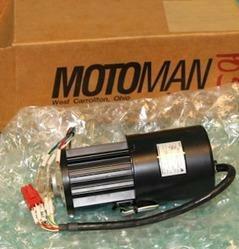 Our technicians are OEM/factory certified servo motor repair specialists. We use an oscilloscope to check the wave pattern of motor windings while under load test. our equipment lets us simulate actual running conditions to ensure that motor windings, winding insulation,back emf ,balancing of rotor and magnetism in the rotor and the power/feedback plugs will withstand motor currents. Our technicians are factory certified servo motor repair specialists. We are Upgrades New series Panasonic servo drives & servo motors and Exchange your old servo drive and motor . 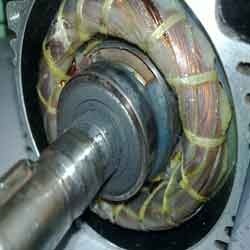 Expert Servo Motor Repair in India. We offers the fastest turn around times available for servo motor Repair. If your servo drive, servo motor and Controller(any make) is obsolete? USA(United States), UAE (United Arab Emirates), UK, Pakistan, Saudi Arabia, Malaysia, Sri Lanka ,Australia ,Argentina ,Bangladesh ,Belgium ,Bahrain ,Brazil, Bhutan ,Belize ,Canada ,Switzerland ,Cameroon , China , Colombia, Germany,Denmark , Egypt, Finland,France ,Greenland,Hong Kong ,Greece ,Indonesia,Ireland , Israel ,Iceland , Italy ,Jamaica ,Jordan ,Japan,Kenya ,South Korea ,Kuwait ,Sri Lanka, Morocco ,Mauritius ,Maldives ,Mexico,Malaysia,Netherlands,Norway, Nepal , New Zealand, Oman, Philippines,Portugal ,Poland,Qatar,Russia, Saudi Arabia, Singapore,Thailand,Turkey, Taiwan,Tanzania, Ukraine,United Kingdom ,South Africa,Vietnam ,Zambia and Zimbabwe. We Have dedicated Servo Motor repair facility. 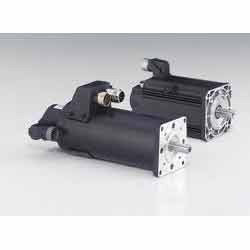 We have expertise After sales service to repair all types and makes of servo motors including DC and AC servo motors, spindle and stepper motors. 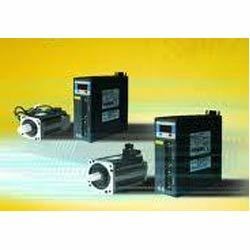 We are offering Panasonic servo drive and motor. 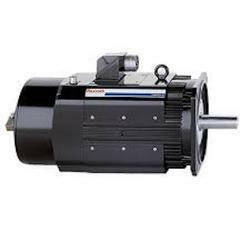 We are one of the leading suppliers for Panasonic servo drive & Panasonic servo motor. Panasonic MINAS A5 series servos provide high performance and function for systems where precision, smart control, safety, and easy configuration are needed. We service,repair, replace, built, rebuild, regrind, recondition, refurbish, remanufacture, retrofit and overhaul all servo drive and motor. We are specialized in providing servo motor repair services on all types and brands of servo motors and stepper motors. After testing servo motors on various run methods, we provide associated feedback to clients. We are equipped with all the facilities such as servo repair software, magnet strength test, servo load test, waveform analysis and balancing machine to carry out these services. 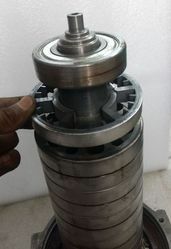 Further, we also have a large stock of connectors, magnets, resolvers and all type of encoders that help us to repair service motors within the set time frame. USA(United States), UAE , UK, Saudi Arabia, Malaysia, Sri Lanka, Australia, Argentina ,Austria , Bangladesh ,Belgium ,Bahrain ,Brazil, Bhutan ,Belize ,Canada , Switzerland, Cameroon , China, Colombia, Germany ,Denmark , Egypt, Finland, France ,Greenland, Hong Kong , Hungary , Greece , Indonesia, Ireland , Israel ,Iceland , Italy , Jamaica ,Jordan , Japan, Kenya , South Korea , Kuwait , Sri Lanka, Morocco ,Mauritius ,Maldives ,Mexico, Malaysia, Netherlands, Norway, Nepal , New Zealand, Oman, Philippines, Portugal ,Poland, Qatar, Russia, Saudi Arabia, Singapore, Thailand, Turkey, Taiwan, Tanzania, Ukraine, United Kingdom ,South Africa, Vietnam ,Zambia and Zimbabwe. Packaging Details: 1)Worth and Good packing. 2)Based on customer satisfaction. 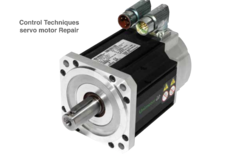 Star Automations continues to be the best repair solution for all your Baumuller servo motors , Baumuller servo drive repair and spare equipment needs. Our unique state-of-the-art technology repair in house and experienced service engineer and technician to provides our customers with the Best Repair Service in the industry. Star Automations continues to be the best solution for all your Toshiba Bs servo motor ,Toshiba Amplifier , Indramat Bosch Rexroth servo drive , servo amplifier repair and spare equipment needs. Our unique state-of-the-art technology repair in house and experienced service engineer and technician to provides our customers with the Best Repair Service in the industry. Our Experience and expertise team of specialists have the industry and component knowledge necessary to provide an efficient high quality repair on your servo motor. Our process involves thoroughly inspecting your component before and after repair using our universal servo motor tester. Once completed, we calibrate all feedback devices, checking for proper timing, shape, off-set angle & amplitude. Finaly, the component is dynamically tested to ensure it is optimized and ready to be put back to work . Star Automations continues to be the best repair solution for all your Control Techniques servo motor ,Emerson , Control Techniques servo drive repair and spare equipment needs. Our unique state-of-the-art technology repair in house and experienced service engineer and technician to provides our customers with the Best Repair Service in the industry. We repair all models of KEB servo motors. For any other related information feel free to contact us.Our service team is waiting to assist you with your support request. 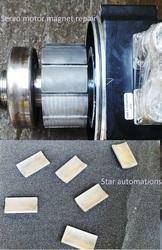 Star Automations continues to be the best solution for all your Large Servo Motors repair and spare equipment needs. Star Automations continues to be the best solution for all your yaskawa Motoman servo motor repair , servo pack ,Robot controller, power supply, controls repair and spare equipment needs. Our unique state-of-the-art technology repair in house and experienced service engineer and technician to provides our customers with the Best Repair Service in the industry. We are specializes in servo motor magnet repair , Broken Magnet Repair ,magnetized (Magnet strength ) ,re-magnetize and servo motor testing . We are specializes in servo motor magnet service , Broken Magnet Repair ,magnetized (Magnet strength ) ,re-magnetize and servo motor testing . We are one of the leading National service providers and have 15 years experience in the field of Ac servomotors, DC servo motors, spindle motor, stepper motor, DC brushless, and DC brushed servo motors,Servo Drives, PCB, PLCs & Industrial Electronic Repair & Maintenance. 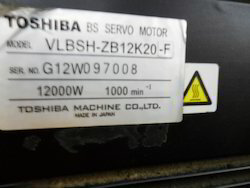 We repair all models of Toshiba bs servo motors also provide Annual Maintenance Contracts . For any other related information feel free to contact us. Our service team is waiting to assist you with your support request. We are one of the leading national service providers and have 15 years experience in the field of servo motors, servo drives, pcb, plcs & industrial electronic repair & maintenance. 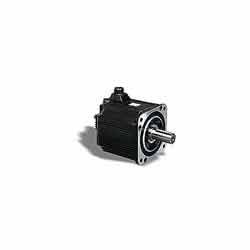 Our organization is engaged in offering world-class AC Servo Motor Repairing for many servo motor brands. With the help of excellent repair facility, we can easily repair all types and makes of servo motors such as dc and ac servo motors, spindle and stepper motors. Our expertise allows us to repair, recondition,Servo Motors Rewinding ,encoder service, remanufacture, replace, exchange, rebuild,retrofit and overhaul all servo motors as per the demands of our clients. We are specializes in Baumuller servo drive repair. 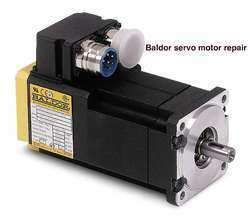 We repair all models of Baumuller servo drives and servo motors. Star Automation specializes in repair, rework, BGA rework, Test and Inspection of electronic circuit boards and assemblies With Automatic Test Equipment and complete Lab facility and RoHS compliant PCB repair service. We can able all OEM, Non-Warranty, Upgrades and Obsolete repairs, for a wide range of items. We service, repair, replace, Exchange, built, rebuild, regrind, recondition, refurbish, remanufacture, retrofit and overhaul all Indra mart servo motor and Indra mart servo drive. 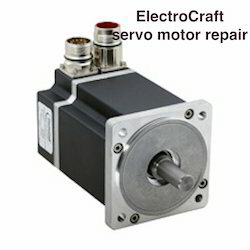 We are specialized in providing servo motor repair services on all types and brands of servo motors and stepper motors. After testing servo motors on various run methods. We are equipped with all the facilities such as servo repair software, magnet strength test, servo load test, wave form analysis and balancing machine to carry out these services. Further, we also have large stock of connectors, magnets, resolves and encoders that help us to repair service motors within set time frame. We deal in Turbine and Generator Inspection Service. 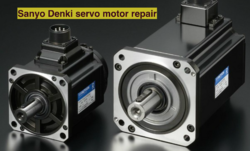 Looking for Servo Motor Repair ?